Archaeological sites in the United Kingdom are not limited to Stonehenge, the mysterious 5,000-year-old prehistoric monument constructed for reasons unknown with gigantic stones imported from 200 miles away. The UK has been continually occupied since Neanderthal times, or perhaps even earlier, and there are many more sites worth experiencing. Adventurers are catching on to ancient sites’ appeal — maybe because these less-visited monuments are increasingly featured in movies and television shows. Check out these seven ancient sites before they get so popular that you can’t see them (and other cool remains) through the crowds of tourists. Constructed more than 4,700 years ago, the Giant’s Ring megalithic circular henge predates the Egyptian pyramids by about 100 years. The appropriately named giant ring rock monument is almost 600 feet in diameter and seven acres in total area. It is surrounded by west-facing tombs, and features a dolmen (an aboveground grave frame made of rock legs, with a large rock slab capstone atop) dead center. We’re unsure what the site was used for, beyond the fact that it was some sort of public ceremonial locale. In the 18th century, the round henge was used for horse racing. 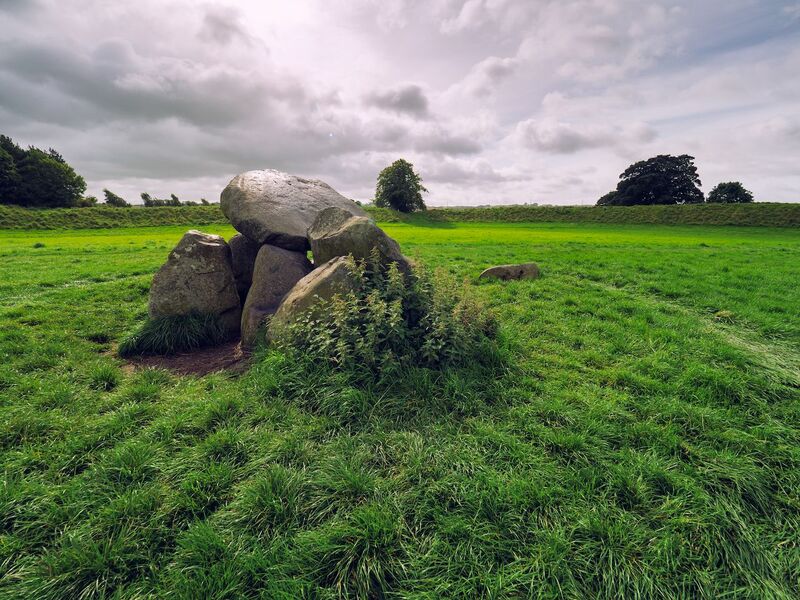 Today, Lagan Valley Regional Park protects the henge; it’s right in Belfast and easy to get to. A three-mile path meanders through the site, which is free and open during daylight hours year-round. 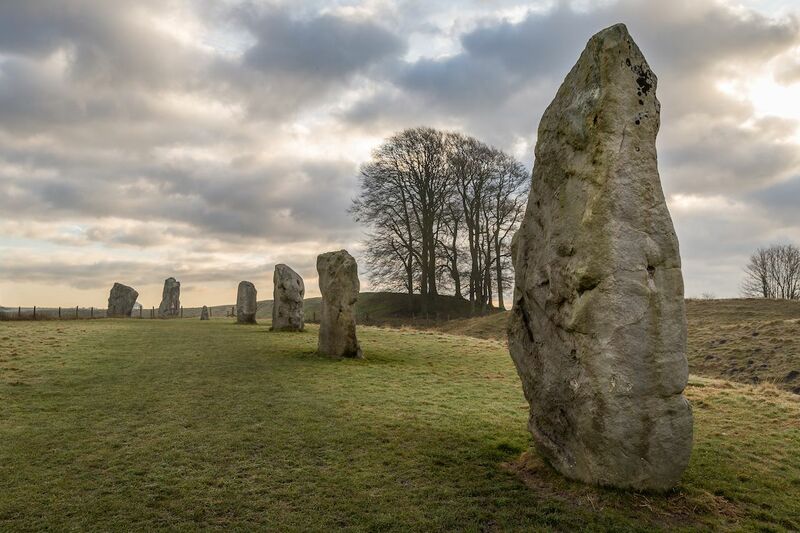 A 45-minute drive from Stonehenge, the UNESCO World Heritage site Avebury is much larger. It’s comprised of a series of Neolithic and Bronze Age ceremonial henges (stone circles). Avebury was created more than 5,000 years ago, but archaeologists are unsure of its original purpose. Within the site are five structures, including the largest henge in Britain, and it’s easy to walk from monument to monument. The onsite Alexander Keiller Museum houses one of the country’s most important collections of prehistoric artifacts. Guides offer free walking tours throughout the site, which is open almost every day during daylight hours. Along with horror movies and a few alien-related documentaries, Avebury was featured in the TV series Most Haunted. Once upon a time, Britannia was the Roman Empire’s northernmost outpost. 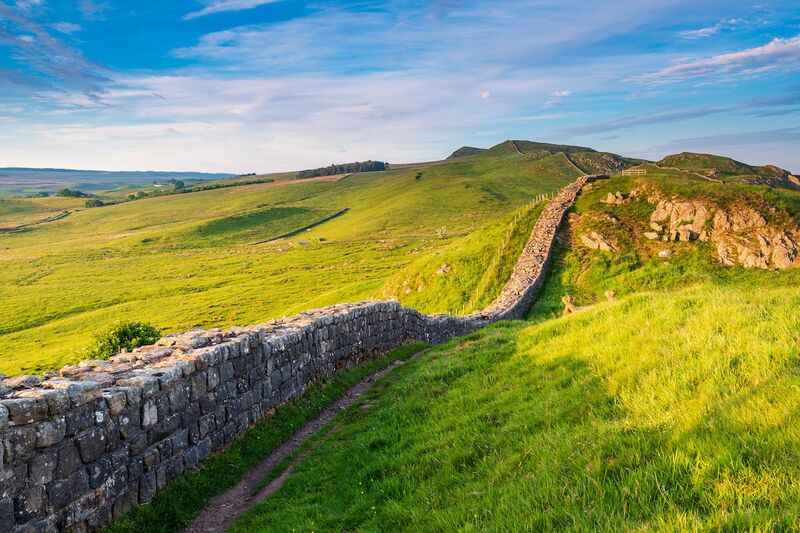 It took six years, from 122-128 AD, for Emperor Hadrian’s 15,000 men to build the 73-mile-long border wall, which marks the empire’s northern boundary. Many people believe that the wall separates Scotland from England, but it doesn’t and never did — it was constructed well before either nation. You can still visit Hadrian’s Wall, although only 10 percent of its original parts remain. That’s still a lot of monuments — the site includes ramparts, garrisons, forts, bath houses, and milecastles marking each mile of the wall. These engineering feats in the 1980s inspired George R. R. Martin as he was beginning to write the book series A Song of Fire and Ice, which in turn inspired the TV series Game of Thrones. Today Hadrian’s Wall is a UNESCO World Heritage site, preserving a fort, a milecastle, Sycamore Gap (famously depicted in Robin Hood: Prince of Thieves), and the ecology of Crag Lough. 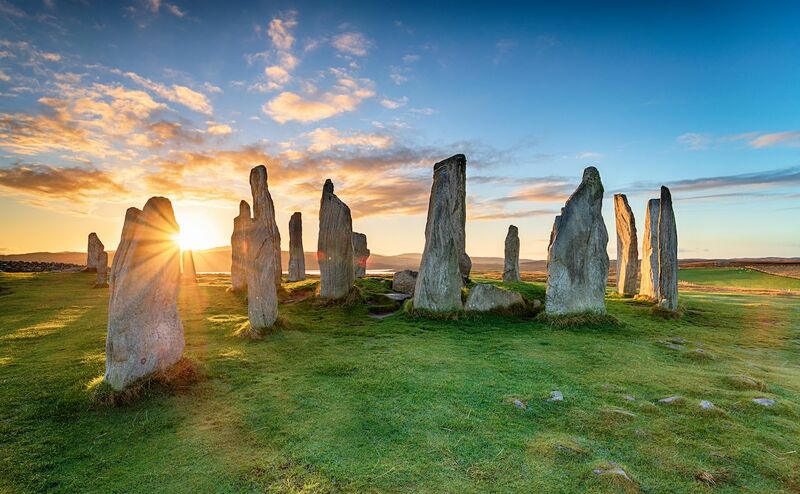 The 5,000-year-old Callanish Stones (locally known as the Calanais Stones) served as inspiration for Pixar’s film Brave and the Starz show Outlander. Situated on the west coast of Scotland’s Lewis Island, the stones are an incredibly well-preserved henge, and as with most henges, archaeologists are unsure of their original purpose. Many believe the stones were calendrical or astronomical monuments, but regardless, they are awe-inspiring. A visitor center at the site features interpretative models, a gift shop, and a cafe. The site is open daily and reachable by ferry, train, or bus. Near Woodbridge, Suffolk, archaeologists found two cemeteries dating back to 500-600 AD. One is an undisturbed ship burial; the other is a series of 20 or so grave mounds located on an estuary. The ship burial might contain the remains of Rædwald, leader of the East Angles — he might have been the owner of the famous Sutton Hoo helmet discovered in 1939. 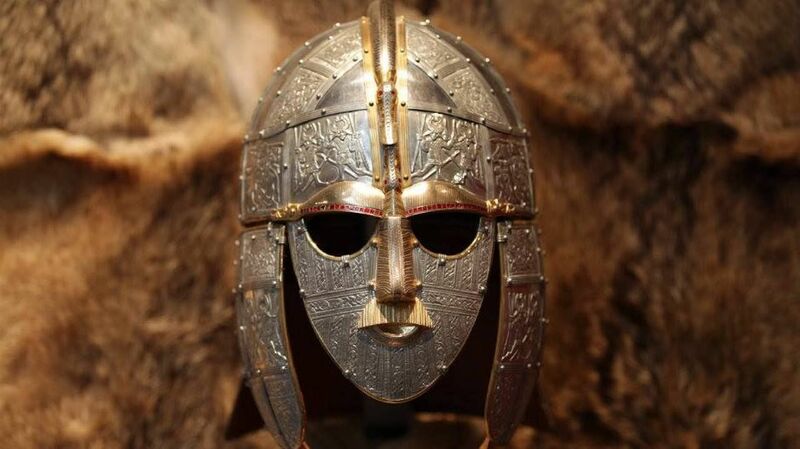 Regardless of whether Rædwald was interred there, the artifacts excavated from Sutton Hoo are vital to understanding the mysterious Anglo-Saxon culture and history. The National Trust is currently renovating and restoring Sutton Hoo. It will reopen to visitors in late spring or early summer, 2019. It’s also rumored that Nicole Kidman and Ralph Fiennes are making a film based on John Preston’s book about the excavation of Sutton Hoo’s ship burial. It’ll be called The Dig, fittingly. 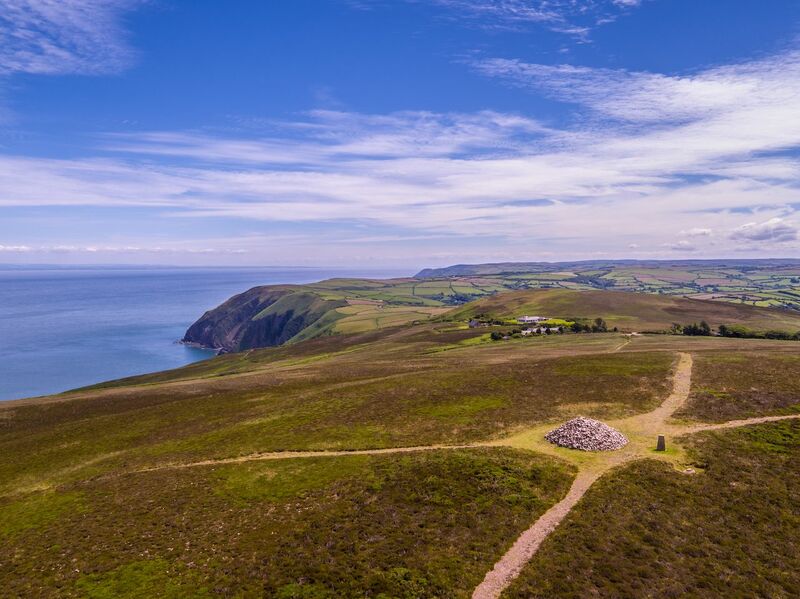 Since the Bronze Age, about 5,000 years ago, the Dunkery Hill has been the site of elaborate public ceremonies and human burials, in the form of cairns and barrows. At almost 2,000 feet in elevation, the archaeological site, located in Somerset, provides panoramic views stretching from Wales all the way to Devon. You can stroll through the area, which was part of Henry II’s Royal Forest of Exmoor. Burial mounds dot the forested zone, located in Dunkery & Horner Woods National Nature Reserve. It’s easy to visit: drive from Wheddon Pass to Porlock, and trek less than one mile to the summit area. However, it’s not an easy ascent to the summit with the prehistoric burial mounds. The area is managed by the National Trust. Jutting out on the UK’s Penwith Peninsula is the Iron Age (sixth century BC, or 2,500 some years ago) castle called Kenidjack. It’s one of a series of protective forts built long ago to protect Cap Cornwall’s cliffs. Kenidjack Castle, as it’s known, features remains including single-level ramparts constructed of granite and a series of ditches dug for defense against encroaching armies. There are also archaeological remains of circles — likely the leftovers of huts constructed to house the fort’s builders. 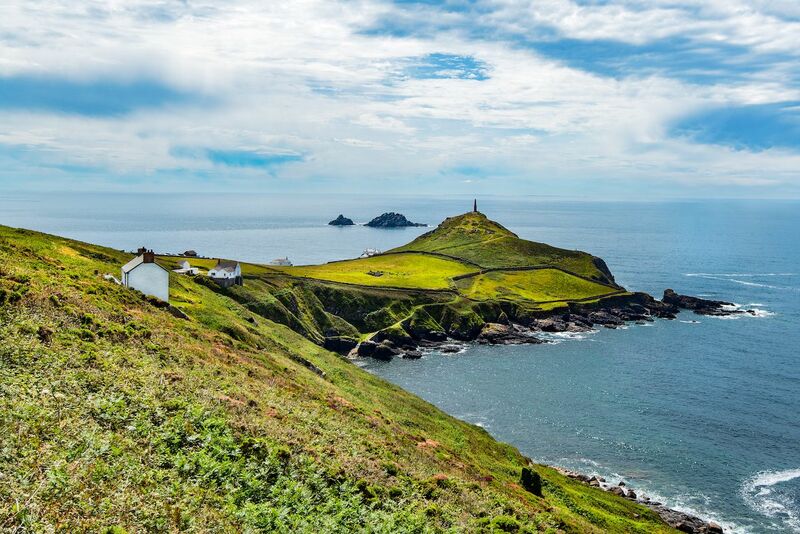 Today, you can reach Cap Cornwall (also known as St. Just) and its historic sites via bus or train. There’s even a cafe near the parking lot.